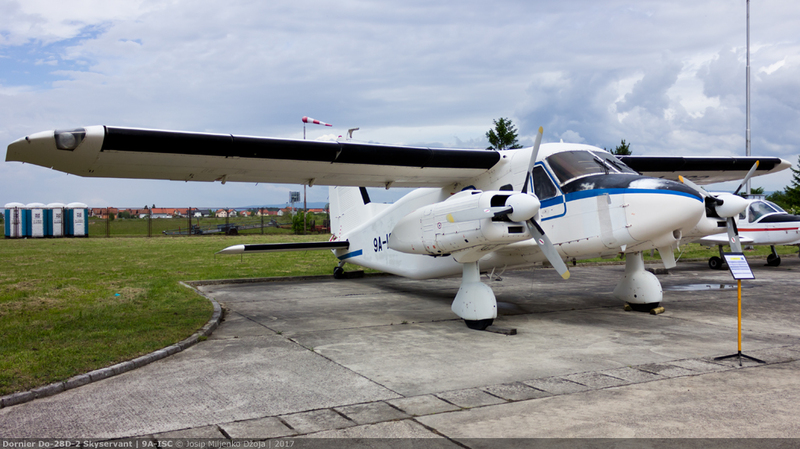 Photo File – Domesticated Dornier: The Croatian AF’s Do-28 9A-ISC | Achtung, Skyhawk! While there has always been an abundance of easily-accessible abandoned and disused aircraft to be found in Croatia, one place in particular has always been the local holy grail of “wreck photography” – the Zrakoplovno-tehnički centar (ZTC, Aeronautical-Technical Center) maintenance facility in the town of Velika Gorica, just a few kilometers south of Zagreb. Formerly a military depot with a long and illustrious history, it is now home to what remains of the Croatian Air Force’s earliest machinery, littered chocked full of rusting, disintegrating hulls that had in the war-torn early 90s formed the backbone of the country’s first aerial capabilities. 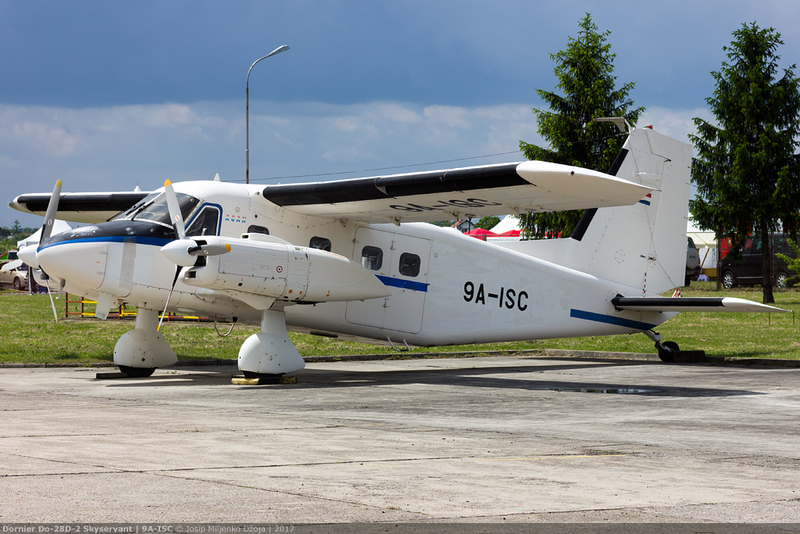 Even though each and every aircraft there has an interesting and often gripping story, the one I was always most interested in was 9A-ISC, a Dornier Do-28D Skyservant sitting alone and unloved at the edge of the apron. Unfortunately, the facility’s current status in the military hierarchy had always made “unannounced” photography perilous and complicated, making getting up close and personal an impossible task. 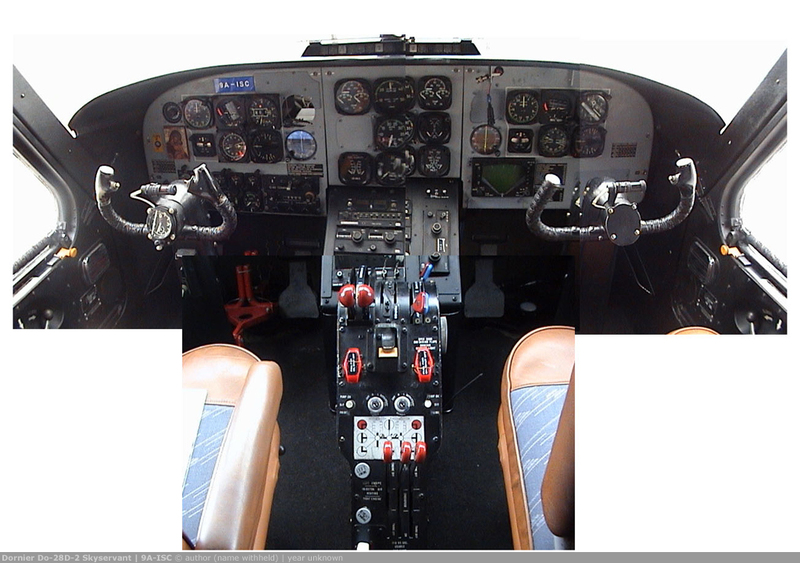 and fuselage mounting points for sensors such as mapping cameras and side-scanning radar (as well as equipment for oil spill monitoring on aircraft operated by the German Navy under the designation Do-28D-2/OC). * in 1980, the Do-28D-2 designation would be dropped in favor of Do-128-2. ISC itself would turn out to be an early production model, completed in February 1974 with the serial number 4178. Soon after delivery on the 13th of the same month, it would be allocated to the German Air Force’s Government Flight – the easily pronounceable Flugbereitschaft des Bundesministerium der Verteidigung, or FlgBMVg – based at Köln/Bonn Airport (EDDK), where it would receive the code 59+03. According to the information available, its service life with the FlgBMVg would be fairly uneventful – mostly hauling officials in a semi-VIP passenger interior – right up until early September 1992 when it would be parked at Leipheim Airbase (EDSD) near Ulm as part of the type’s general withdrawal from service. At this point however, its story starts to become interesting. At some time in 1993, the aircraft had been bought by the Croatian Government – at the time fighting in the first of the 90s Yugoslav Wars – reportedly through intermediaries in the (sizable) Croatian diaspora in Germany. Apparently serviced and made airworthy again in the mean time, it would eventually make its way to Finow Airbase (EDAV) in the former GDR – from where it would be flown to Split Airport (LDSP) in Croatia on the night of 11-12 March 1994. Interestingly, the flight would be made under the reg 9A-NDH, a fictitious identity that had never appeared on the Croatian register before or since. The choice would prove controversial later, since in its most commonly-used form NDH stands for Neovisna država Hrvatska (Independent State of Croatia), a Nazi puppet state that had existed in the western Balkans between 1941 and 1945. 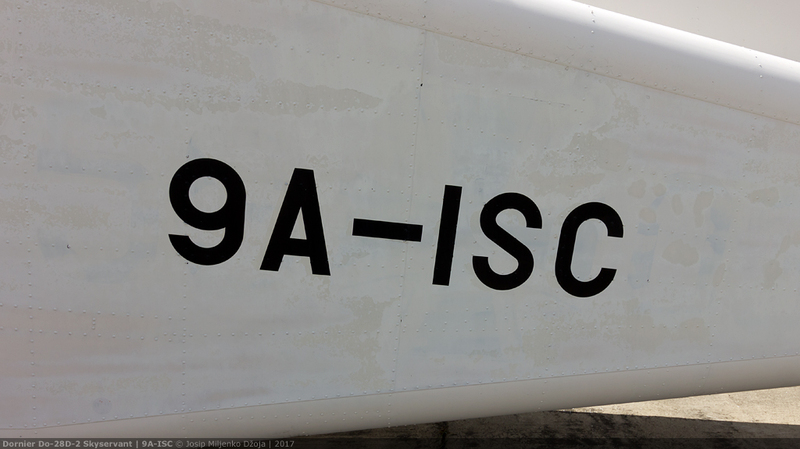 Upon arrival at Split on the morning of 12 March, the reg had immediately been changed into the no less ominous – and equally fictitious – 9A-ISC, under which it would continue to fly until its ultimate withdrawal from use**. Its life in wartime service with the Samostalni zrakoplovni vod (Independent Aviation Corps) of the Air Force’s 4th Brigade is still clouded in confusion and a fair bit of secrecy – and knowing full well the complicated political and military situation that had existed in Croatia in the early 90s, both Josip and myself had quickly decided against digging into the matter any further 🙂 . ** this reg would be formally used for the first time only in 2013 – and on a restored Polikarpov Po-2. 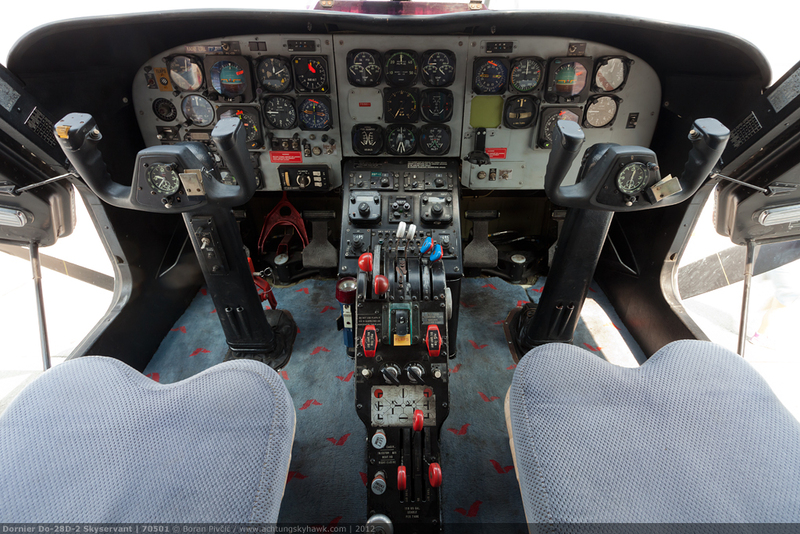 Of interest, even though it had always had a dedicated military registry, the Air Force kept some of its transport and utility aircraft – including the Do-28 – on the 9A civil register until the early 2000s, when all active machines were allocated bespoke military codes. *** another interesting tidbit was that the MoD had actually been offered the opportunity to restore the aircraft to airworthy state by a private contractor – and even convert it to turboprop power along the way. The engine proposed for the job was the Czech-built Walter M601 – most commonly seen on the Let L-410 Turbolet – which would have resulted in something similar to the factory-standard, PT6A-110-powered Do-28D-6 / Do-128-6 of 1978. However, the MoD had never taken up this offer.